You can't beat these great deals by Seth Thomas. The Seth Thomas wall clock looks great in a modern room while the Seth Thomas Jewelery-Box Clock looks fabulous on your desk or dresser while offering ample storage for your trinkets, rings and necklaces. Great prices, great designs by Seth Thomas. Seth Thomas clocks are a classic American Tradition. The quality of their products has been respected since old Seth himself began hand-crafting clocks in Plymouth Hollow, Connecticut in 1813. The Seth Thomas Clock Company crafted the famous four-sided clock in the center of Grand Central Station, keeping travelers on time for decades. 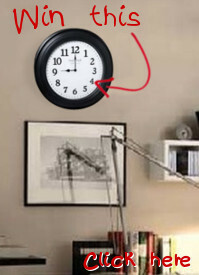 And they would love to produce your next clock. Enjoy Seth Thomas Clocks from Clocks247 at great low prices. The Seth Thomas clock company has been producing clocks under the Seth Thomas name for 200 years. The founder of the company, Seth Thomas, was well-known as a maker of fine clocks and people throughout New England proudly acquired Seth Thomas clocks to adorn their homes. After moving to Plymouth Hollow, Connecticut, Seth Thomas built a factory that made clocks with metal movements. The town of Plymouth Hollow was renamed Thomaston in honor of Seth Thomas around 1875. Probably the most famous of the Seth Thomas produced clocks is displayed in New York's Grand Central Station. During its many years of production, the Seth Thomas company has produced a variety of clock styles including round wall clocks, longcase or grandfather clocks in addition to mantel and tabletop clocks. Now is the time to order your Seth Thomas clock and begin your own family tradition today.